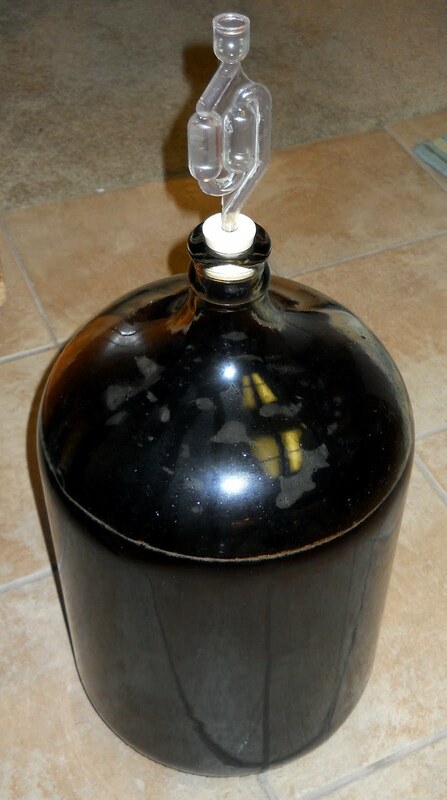 My vanilla porter has gone through the first stage of fermentation, and after one week I have now transferred it into a glass carboy for secondary fermentation. At the time of transfer, the gravity was 1.024, down from the starting gravity of 1.056. I expect that the gravity will go down a little more over the next two weeks before bottling. The beer is nicely flavored, with no off character that I can detect. Dark color (see photo at left), lighter body, and heading towards the direction of a very drinkable porter. Interestingly, the yeast strain I used (White Labs California V ale yeast) produced a mild sulfurous aroma in the early stages of fermentation. I have read elsewhere that this is a normal characteristic for that strain, so I didn’t worry about that too much. It’s not detectable on tasting, either. I also started some vanilla beans in vodka, to make an extract for the porter. At the recommendation of my brewing colleague Greg, I split the pods, scraped the seeds into the vodka, and then cut the pods up and threw them in too. In one week, I plan to add them to the secondary along with the rest of the beer.